Brian Dalrymple is a Canadian Forensic Consultant who began his police career over four decades ago with the Ontario Provincial Police. He co-developed the strategy of finding fingerprints and other evidence with argon lasers in 1971. He created the first police computer evidence enhancement system in Canada in 1991 and was the first Canadian to tender such evidence in court. He is the recipient of the Dondero Award from the International Association for Identification. In 1971 Brian Dalrymple began a career in identification with the Ontario, Canada Provincial Police, Forensic Identification Services. In 1977, in collaboration with scientists from Xerox Research Centre, he co-developed the technique of evidence detection with argon lasers through inherent fluorescence and became the first in the world to operate an argon laser for the detection of evidence in criminal investigations. The extensions of this technology are now in global use and have provided crucial evidence in hundreds of major investigations. In 1991, as Associate Section Head, he introduced the first Computer Evidence Enhancement System to Canada, and later became the first Canadian to tender expert evidence in this discipline. He initiated the technique of Digital Image Subtraction. In 1992 he was promoted to Manager, Forensic Identification Services, a position he held until his retirement in 1999. Based on approximately one hundred body examinations during his career, he initiated and co-wrote the Body Examination Protocol for the Province of Ontario, Canada. Brian Dalrymple has taught extensively in North America, the Middle East and the Pacific Rim. He is the recipient of the John Dondero Award (1980, IAI), the Award of Merit (1980, Institute of Applied Science), the Foster Award (1982, the Canadian Identification Society) and the Lewis Minshall Award (1984, Fingerprint Society, UK). Brian has also been awarded numerous performance citations, including three Commissioner’s Commendations. Routinely during his career, he has tendered opinion evidence on laser detection of evidence, fingerprint detection and identification, forensic photography and computer image enhancement in the courts of Ontario, Quebec, Alberta and Bermuda. 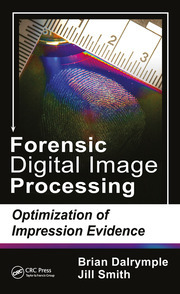 He has published extensively in the disciplines of fluorescence detection, impression photography, and digital enhancement of evidence and served as a contributing author in the Encyclopedia of Forensic Sciences (Academic Press – 2000). His second book is “The Skin of Murder Victims: Fingerprints & Other Evidence” (2014 – Dalrymple, B.E. – Carolina Academic Press). Brian Dalrymple is currently an instructor at the Ontario Police College, and provides forensic consulting for police agencies, private sector and attorneys. He also teaches for Ron Smith and Associates, extensively throughout the United States. He is an Adjunct Professor, Department of Forensic Science, Laurentian University.